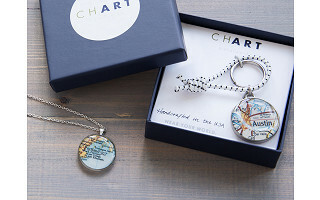 With handcrafted, nautical map jewelry and accessories, chart not just the depths of water, and the heights of land, but special places and times in your life. 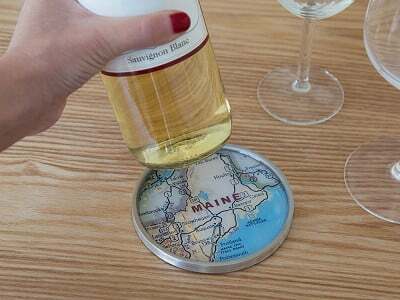 Married on Nantucket? 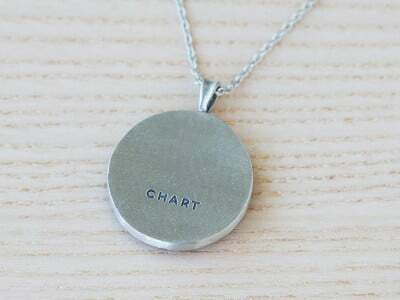 A one of a kind CHART Metalworks’ pendant of the Sound and harbor will keep memories of that day close to your heart. 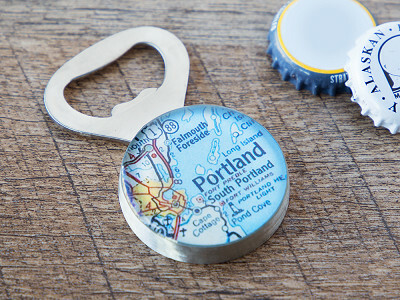 These customizable pieces are set in pewter and covered in clear, durable resin. 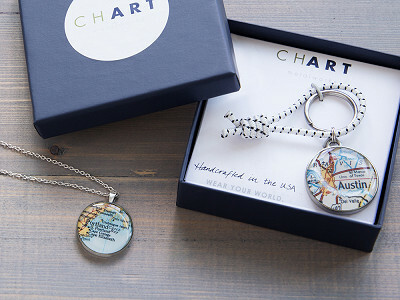 Back in 2006, CHART’s founder, Charlotte Leavitt was making jewelry in coastal Maine. 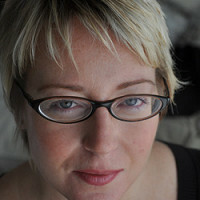 She loved the work, but was frustrated by an inability to differentiate from a crowded field. Intent on setting a new course, this avid sailor found nautical charts would plot her way. Today she crafts her wares in the working waterfront of Portland. Virtually any landmark in the world can be used. In fact, over 130 global locations have been commissioned thus far. Keeping the world preserved for more precious moments, CHART Metalworks uses acid-free paper and recycles materials, including toner cartridges and metal scraps. 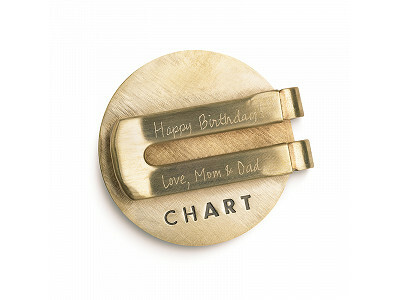 Amy from The Grommet team here to answer any questions you have about CHART Metalworks. Let me know if you have any questions! @Delena, Thank you for your interest in our product. We customize to anywhere in the World. Your requested location would be a great location! Perfect! I'll order this afternoon. Thank you. Do you have any offerings for men, i.e. 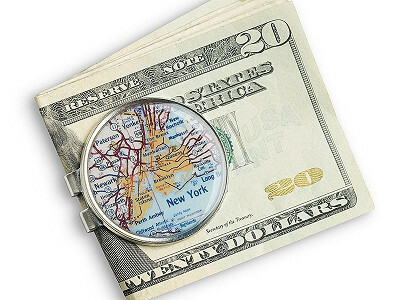 cuff links, money clips, etc. I'd love to get something for my husband for our anniversary. Great question. 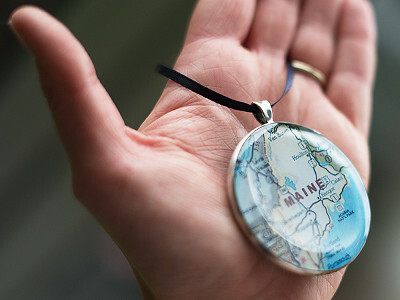 Right now we are offering this necklace, but stay tuned as this is a great idea for the founder. We will update our community if our offerings change. @Mike I just want to reiterate the plea for items for men. I would love to order cufflinks for my husband. I am trying to order; but, my email is too long & it's the only one I have. 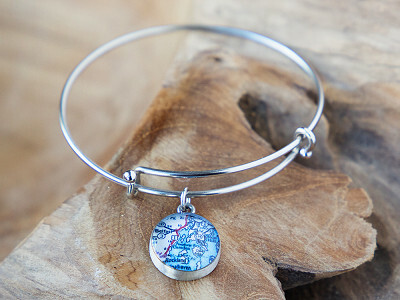 I'm looking to get one for my sister. Her only daughter just moved to London, United Kingdom - Tilehurst - by River Thames - by Propect Park. Is there something that can be created like this? Let me look into this for you. Is the problem with the email, or are you trying to ship to London? 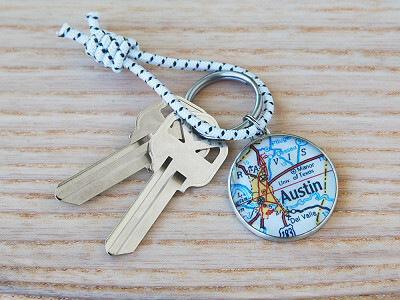 We only ship within the U.S. right now, but do work with 3rd party shippers you can use. I will check on the email now and get back to you shortly. The email should work now - sorry about that. You do have a very long email, but you shouldn't have a problem. Could you tell me how large the pendant is? Thank you. The pendant is 1" on an 18" chain. I am interested in a necklace. Can I assume custom locations can be done as well? Thank you for your interest in our product. 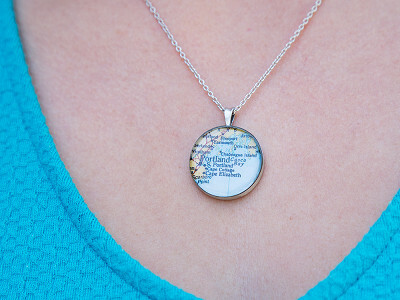 Yes, this necklace is customizable to any location. Can you show me some options you would have for Esfahan or Isfahan, Iran? I would like to see what it looks like before purchasing. Hi Erin. I was so surprised to see the location that you were asking about because I was about to ask the same question! My Dad was stationed in Isfahan and I was born there so I too was interested to see what that would look like before purchasing! Small world isn't it?! Hi, I am wondering if there are any plans for doing these necklaces in gold, or some warm metal? I would like to get one, but am not a silver person. Hi Patricia. Currently this is the only necklace we are offering. If anything changes you will find out! Hi Stanley. We certainly can do this for you!